This weeks skin care DIY is one of my favorites! Not only does it smell amazing but it has wonderful benefits for your skin. Great makeup setter. You can do a few sprays after you apply your makeup for that dewy effect. Dried rose buds. You can find these in bulk at your local health food store. Since your toner is all natural and contains no preservatives you need to keep it in the fridge. Use it within one week. You will love how soothing and refreshing this is! Sound so wonderful! And since it is stored in the fridge I would be nice and cooling too! SO creative! I bet it feels excellent on your face. I love all your ideas, you amaze me Linds! Sounds like I need to figure out where my local health food store is!!! This is AWESOME, i never knew! Thank you so much for sharing! I am for sure going to try this! I tried to make my own a while back but it didn't turn out as planned. Since then I've been going to Whole Foods and picking some up there. I loveeeee the stuff! Oh, that sounds really nice. Oh my goodness I can already smell how wonderful it is! Great tip! Well it def looks beautiful! I love all the skin tips! So great! You know, you should totally have your own line of skin care products. I bet this really smells good and love the fact that you can apply it after your makeup. Great tip, Lindsay!! This sounds so amazing and relaxing! Thanks for sharing and I agree with Jackie...you SHOULD have your own line!! I would buy it for sure!! this would be a great thing for me to create over the weekend...thanks for the tips! I'm so going to make this! I love love all of your tips! Thank-you!! i didn't know rose water had a lot of good aspects! i must try this. This is such a nice idea, I'll definitely try it! Love this, thank you! Seems so easy, why haven't I done this before?? this is so good, you saved so much by making your own and free of preservatives! Those pictures are so pretty! Love that all of your skin tips are from such natural ingredients. This sounds heavenly. You know, I think I'll try this because it is just so darn pretty!!! Love it, it seam easy and pretty. I have a quick question... did you use rose hips or dried roses? The picture you have posted if of dried roses. Rose hips form after the rose has bloomed and all the petals have fallen off, basically it is the fruit of the rose and is normally an orangish red in color. It makes a lovely tea and is high in vitamin C. Just curious as I have dried rose hips but no dried rosebuds. Great tutorial! 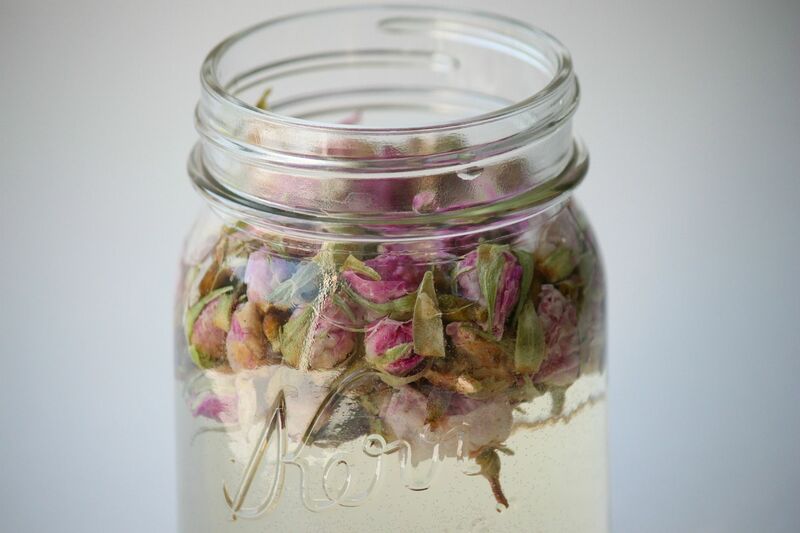 Rose water is a great toner, hydrator, and refresher for the skin. I love the idea. I have alot of acne scars on my face, will that help it some? I've tried using rosewater and I really feel rejuvenated after. 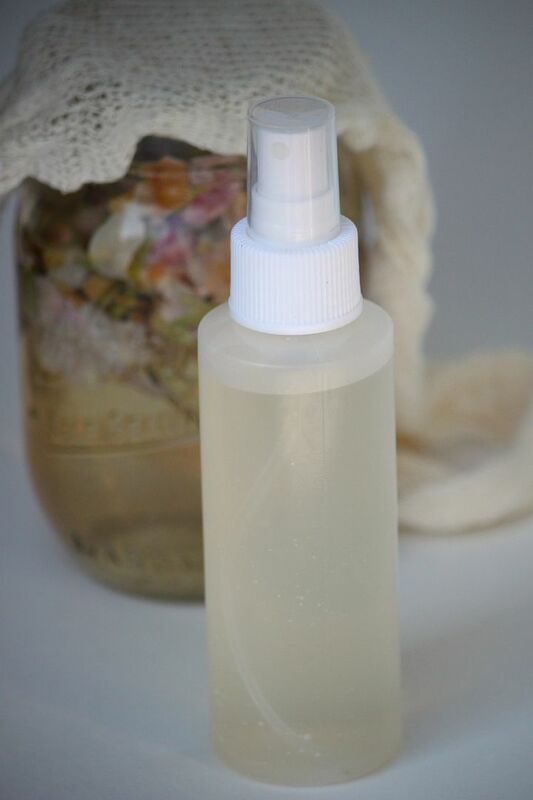 I love the idea of using rose in creating a rejuvenating toner. This is one of the best DIY projects I learned. It's good to know how to make your own toner. It's simple yet very safe. 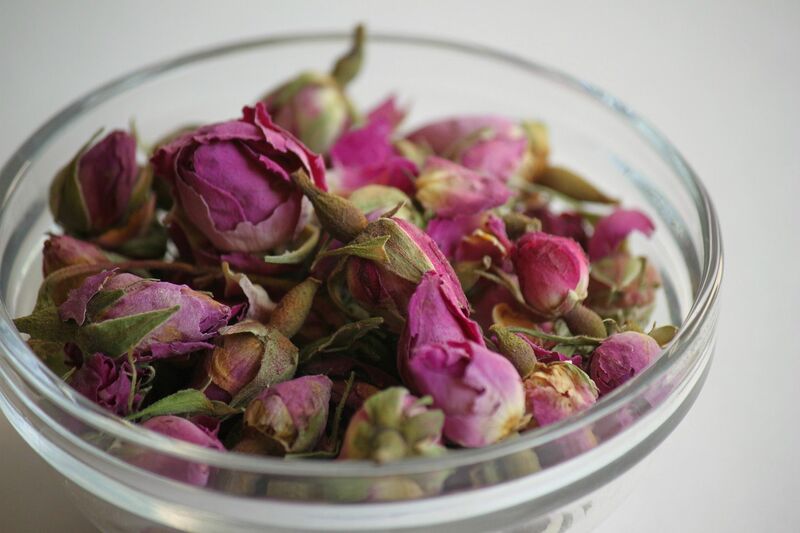 Rose is known to give a rejuvenating effect to the skin. I will make another one this weekend. What a creative idea! Not only is rosewater great for skin, it makes delicious almond shake as well! I'm am a working herbalist and make many of my own skin care products. This is a simple and easy recipe and I like it. I am however confused by the fact that you show rose buds in the image shown and then call for rose hips in the recipe. The two are NOT the same. For this you want the buds. Not the hips. :) Hope everyone enjoys the end product as much as I do! Rose Hips or Rose Buds? Picture looks like buds. Thanks for the info! Thank you, Liv, for the info. I too was confused by the discrepancy! For those of you who asked questions regarding the image above-- you can use rose hips OR Rose buds for this. Both will produce wonderful benefits. I grow my own roses. Can I use my own roses to make this? If you add a couple drops of Vitamin E oil will it last longer?? I'm so excited to have found this! Buying the supplies today, thanks for sharing. I picked them fresh and let them sit in water for a week, the water is rose colored, fragrant, and concentrated!